The time has come to venture beyond the private space and enter the public arena. 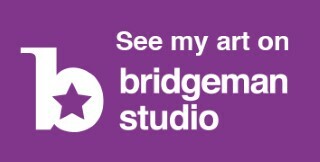 In short, some of my work is to be exhibited under the 'featured artist' banner in a show running through October. The venue is a new Gallery in Bath called Time and Space. It is interesting to note my mixture of excitement, gratefulness and hesitation. Like many artists I'm looking forward, dreaming of developing the depth and range of my work and stripping out the non-essential. This show will afford me the opportunity to sell, assess and go on again.